A currency card offers an easy way to buy currency and enjoy a great exchange rate before you travel to Australia or New Zealand. 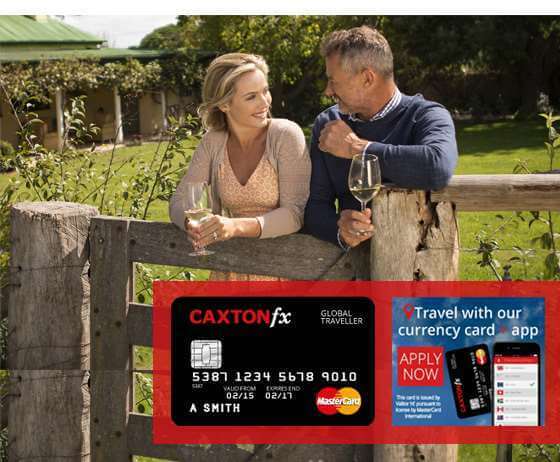 Distant Journeys recommends the ‘Global Traveller’ MasterCard, provided by Caxton FX. The MasterCard is simple to set up, easy to use, a convenient way to pay and is ‘chip and PIN’ secure. Australian Dollars or New Zealand Dollars (or both) can be added to the card using a debit card. For your assurance, the exchange rate will not change, even if exchange rates fluctuate before or during your holiday. Your money can be easily managed in a number of ways; through the Caxton FX website, by using the Caxton FX app, or by calling their friendly helpline. Plus, if you don’t spend your full currency card amount during your holiday, you can easily convert it to another currency, ready for your next trip.